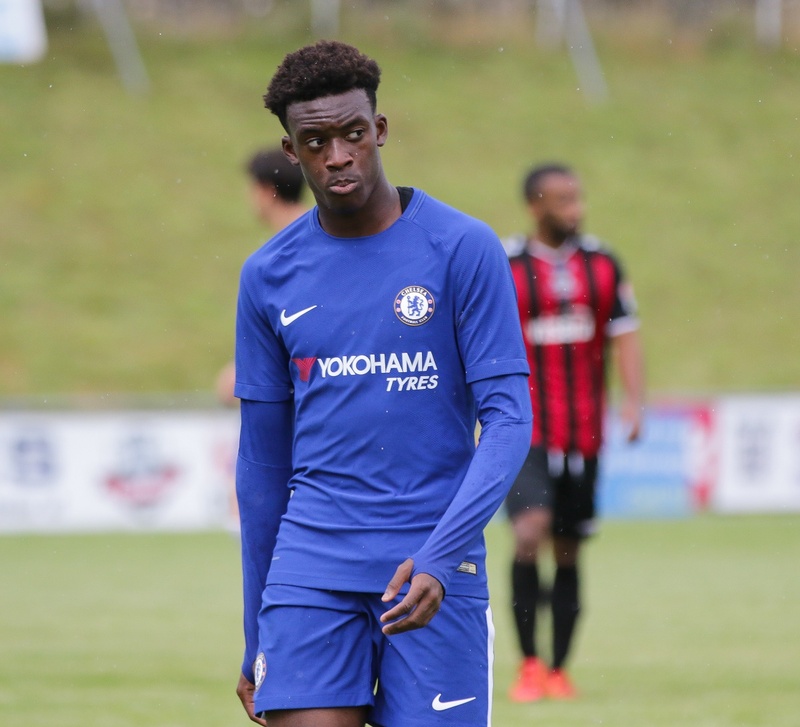 Callum Hudson-Odoi is Chelsea’s shining gem – one they’re not willing to let go of at any price. Such is the situation that the prodigious winger currently finds himself stuck in at the club he has represented since the fledgling age of seven. Several established news outlets, including Sky Sports and the BBC, report that Hudson-Odoi served Chelsea with an official a transfer request on Saturday. This is in the wake of continued interest from Bayern Munich, who have tested the London club with multiple big-money offers, including one of £35m. The speed and steely tenacity with which the Blues shut down that request is testament to how resolute they are in ensuring that the 18-year-old continues to don the club’s colours this season. And indeed for many years to come. 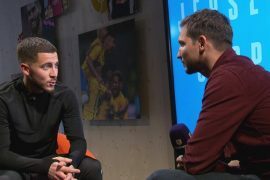 That’s despite already being stocked to the brim with world-class talent – the likes of Eden Hazard, Pedro and Willian – in the positions that he plays. And despite the imminent arrival of Christian Pulisic to add to the competition next season. That Hudson-Odoi has never started a Premier League game for Chelsea also seems surprisingly inconsequential at this point. Chelsea head trainer Maurizio Sarri and his assistants have been on a strong charm offensive in recent weeks, coddling the gifted youngster with adulatory praise and alluring promises of plenty of future game time. Now, however, the Italian himself appears bent on putting this small niggle to bed as quickly as possible. 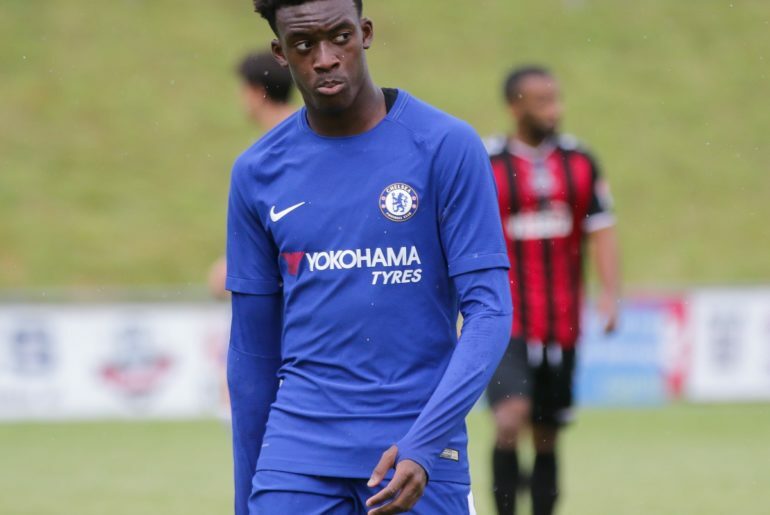 Speaking to reporters at Cobham, Sarri did not mince his words when telling Hudson-Odoi to repay Chelsea for the help and support they have given him in his budding career so far. “Callum is 18. He has to respect the club, the academy, everything. He has time,” said the Italian, following the winger’s laudable goalscoring performance against Sheffield Wednesday on Sunday. “Respect the academy. If you are one of the best young players in Europe, maybe the academy helped you. So you have to respect this. “It’s my job to improve him and put him in a position to do his best. Sometimes I have to say something in the press room on that. It’s normal. It’s my job. But I was really very happy with the last performance. Of course, he’s a very great player. “He will become one of the best in Europe also in another team, but he has to respect the work of the academy coaches. Because here, I think, it’s his home. We will be patient with him because he’s a boy from the academy. Having reportedly turned down Chelsea’s offer of a £85,000-a-week contract extension, Hudson-Odoi is set to be a free agent in 2020. Chelsea are next in action in the Premier League against Bournemouth on Wednesday night. It remains to be seen if, a few hours to the Winter transfer window deadline, the speedster will be in any shape of mind to be involved.